The Sarasota County Sheriff’s Office charged two women and a 16-year-old after detectives connected them with a theft at a local business and recovered hundreds of dollars in suspected stolen merchandise in their vehicle. Deputies responded to Publix located at 1091 North Tamiami Trail in Nokomis just before 5:30 p.m., on Thursday, for reports of a stolen wallet. While deputies spoke with the victim, she was alerted to several transactions on her credit card at nearby businesses. The store manager, at another Publix location in Venice, contacted law enforcement to advise the suspects were in his store. Responding deputies soon located the trio in a vehicle traveling eastbound on Jacaranda Boulevard, and initiated a traffic stop. When deputies approached the car, they saw the stolen wallet, credit card, several receipts, and various merchandise in plain view. Through surveillance video and investigation, detectives identified Kisha Nelcy, DOB 11/30/1994, Dyshia King, DOB 06/24/1995, and a 16-year-old female, as those responsible for the theft. Detectives also learned the suspects used the victim’s credit card at a nearby CVS, and three other Publix locations. 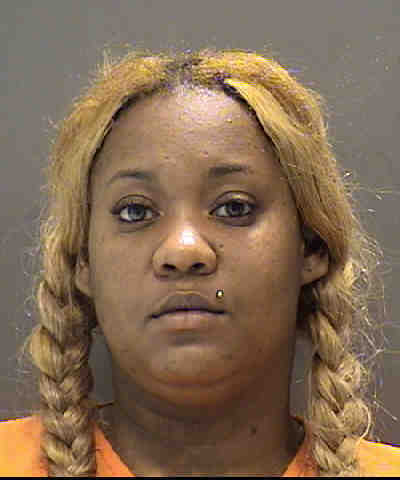 Nelcy is charged with five counts of Criminal Use of Personal Identification and is being held on $7,500 bond at the Sarasota County Jail. King is charged with two counts of Criminal Use of Personal Identification and is being held without bond on a Violation of Probation charge stemming from Orange County. The 16-year-old was charged with two misdemeanors and later released to the Department of Juvenile Justice. Another passenger in the vehicle was released at the scene.